BASKING RIDGE, N.J. – Avaya, a global leader in enterprise communications systems, software and services, today announced the Avaya Flare™ Experience, an industry-first family of next-generation, real-time enterprise video communications and collaboration products and services that delivers unique collaboration capabilities and an intuitive end-user experience across video, voice and text. The new products, which range from personal desktop to multi-screen room systems, make high-definition, low-bandwidth video collaboration accessible to more employees in more enterprises. In addition, the solutions operate at one-third of the cost, using significantly less bandwidth than competing solutions. Based on Avaya Aura™, the first true Session Initiation Protocol (SIP)-based architecture, the new offering makes video calls and conferencing as easy as making a telephone call by using the same platform for both. Businesses integrate real-time video into their core Avaya Aura infrastructure for better control of costs, quality of service, administration and management. Adding video functionality to the network is as simple as adding video-capable endpoints, since no overlay network is required. 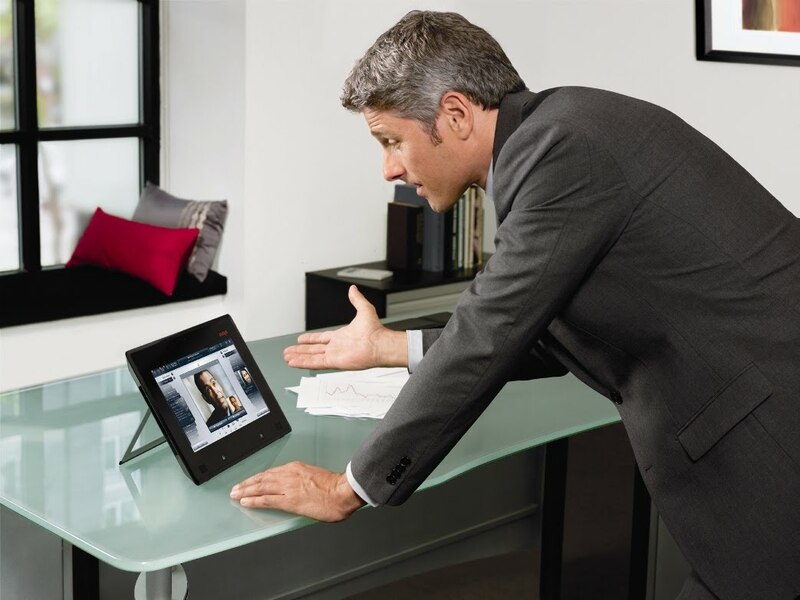 The Avaya Flare Experience is initially sold with the Avaya Desktop Video Device but will soon be made available for other environments, including PCs, laptops, tablet PCs and smartphones. 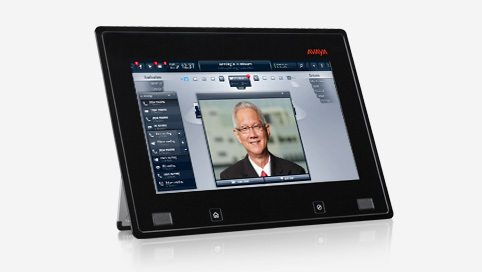 The Avaya Desktop Video Device has been developed for the Avaya Flare Experience as a cost-effective, video-enabled desktop collaboration endpoint for executive desktops or power communicators that can also perform as a customer kiosk. It features a large 11.6” HD touch screen, supported by a HD 720-pixel camera and HD-quality voice supported by built-in dual microphones. It will enable campus-wide mobility via SIP and WiFi and also offers USB connectivity for an optional keyboard or handset, 3G/4G access or a thumb drive. Upcoming versions will support remote access over VPN connections and 4G access. The Avaya Flare Experience for Avaya 96x1 Series Desk phones provides voice, conference control, instant messaging and presence capabilities plus desktop integration with Microsoft Outlook for contact management. These latest capabilities enable the user to have a sidebar chat while talking on the phone or to find experts from a variety of directories. The Avaya Collaboration Server provides all of the Avaya Aura 6.0 core functions on a single server, enabling businesses to take advantage quickly of the Avaya Flare Experience, Avaya Desktop Video Device and Avaya Video Conferencing Solutions over existing, multi-vendor H.323 and/or SIP communications systems or support initial deployments up to 50 users. 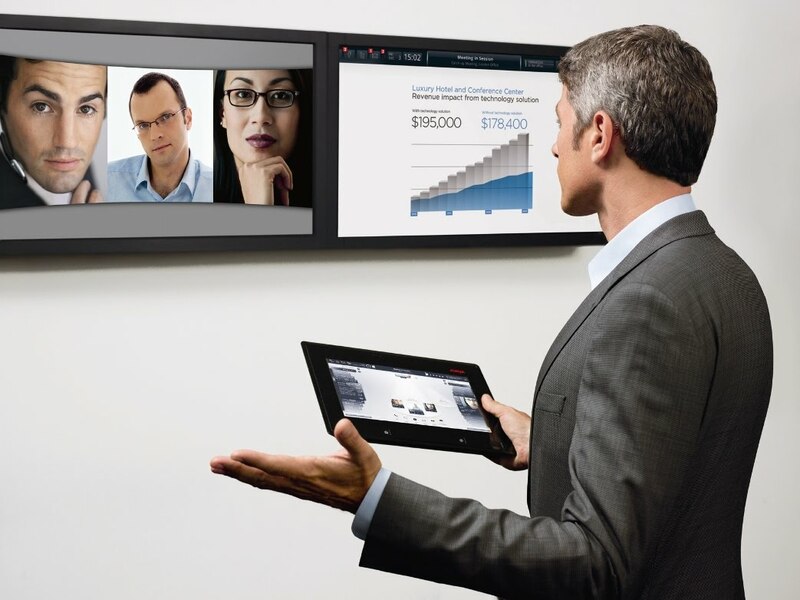 Avaya Video Conferencing Solutions range from individual employee desktop video to small group systems to large, multi-screen conference rooms. They are easy to deploy to any location with centralized operation and management via Avaya Aura, which offers bandwidth control and eliminates the need for an overlay video network. 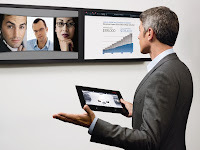 Avaya Video Conferencing Solutions include the Avaya one-X® Communicator Desktop, Avaya Video Systems (1010, 1020, 1030, 1040, 1050) for workgroup through to multi-party conferencing, and Avaya Videoconferencing Manager 6.0. Avaya Professional Services for Video offer a menu of consulting services to help ensure smooth, on-time, on-budget video implementations that deliver maximum ROI; user requirement assessment and business case development; design and planning; video readiness assessments; implementation and integration, including with existing H.323 environments; and optimization services. Avaya Managed Video Services offer professionally-managed help desk and end-user support for setting up and managing video that includes scheduling, quality-of-service active monitoring and H.323 integration for internal or external videoconferences. Avaya web.alive is now available via software-as-a-service. It is a virtual reality, meeting space business communications platform that uses personalized avatars and rich, spatial audio and visuals to bring a new dimension to training and distance learning, business meeting collaboration or role-playing that improves event outcomes, customer engagement and sales opportunities. “Avaya continues to strengthen their position in the enterprise communications space with the launch of a suite of new people centric and context based products and solutions that enable its customers to drive the benefits of collaboration through their business,” said Stephanie Watson, general manager, MZA.